Among updo hairstyles we have seen so many designs for any events, and only bun hairstyles keep on being our favourites for their elegance. Starting their origin from strict ballerina buns, this updo styles have changed a lot through history, they have lived through evolution and now it is not a simple updo that takes all hair away to move freely in ballet, but it is art that requires special attention. 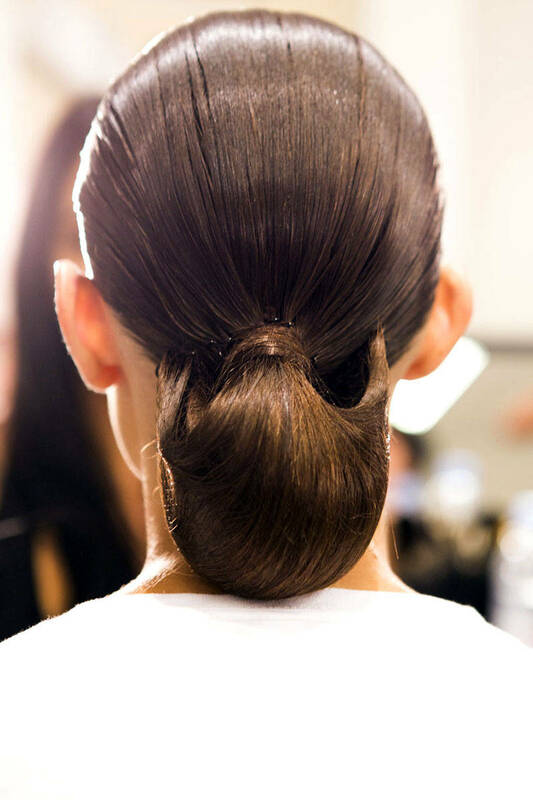 Fashion Weeks have introduced various designs of buns, starting from the original ones, and going to huge low buns, braided buns, and all creative Sumo Knots by Carolina Herrera we have reviewed. All the styles are unique and all of them can fit any occasion. Again the only condition is long hair just as hair trends 2015 offer us to grow out the tresses quickly. Lets see some of the runway popular hairstyles that boost our interest this much. This classy and stylish bun looks like a heart, it is styled quite loq, and on straight sleek hair in accordance with SS15 hair trends. Braided buns always look exquisite, combine them with a simple dress and very light make up and the braids will do the job, making you look stylish. The much spoken of updo hairstyles resembling Sumo fighters knots have made a sensation in fashion world. Indeed the strict and direct lines created by the stylist speak for themselves. Among the polished and thoroughly styled buns we could spot the casual messy low buns by Edun, that charm ladies with their simplicity and ordinary looks. 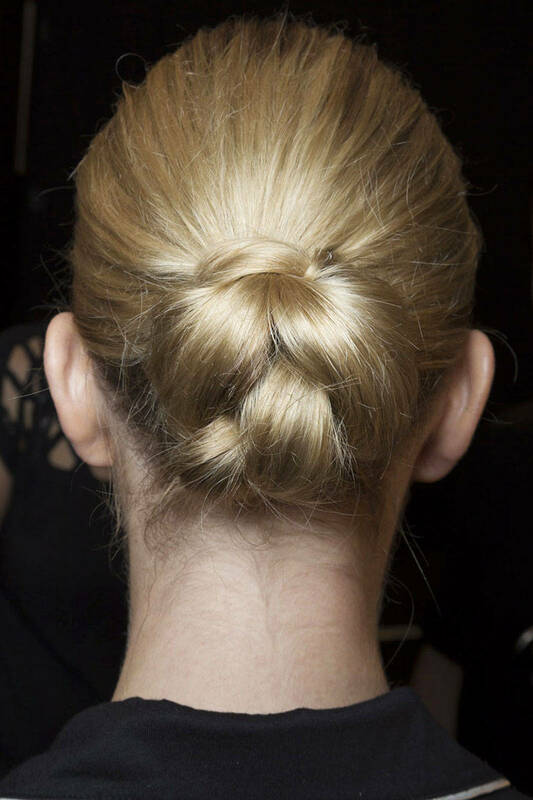 The low buns are elegant and sweet, but what if we want to look more playful? Then go for a huge high bun right on the top of your head. Very cute! Among the Fashion Weeks there happen some other fashion events and shows that need our attention. 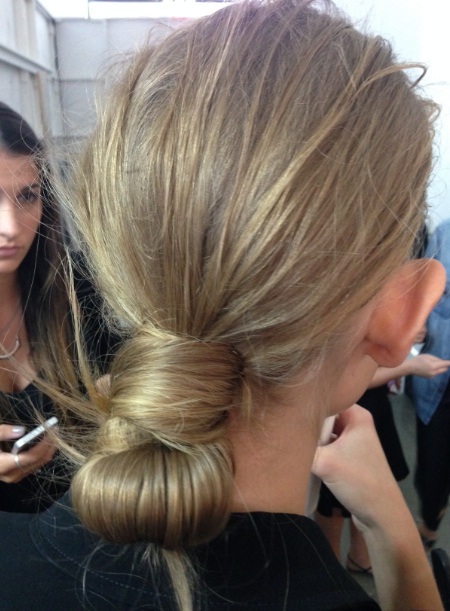 This October in Dubai Asudari showed a collection for spring 2015, this high bun is one of the numerous new ideas. Another way to look coquette with updo hairstyles is such curious bun that leaves out the ends carelessly and so nicely. The buns hairstyles do not depend on hair color much. No matter blonde or brunette you will look and feel nice and confident. Another example of the designer's original view on bun hairstyles. Covered with a veil such buns look very aristocratic and modest. 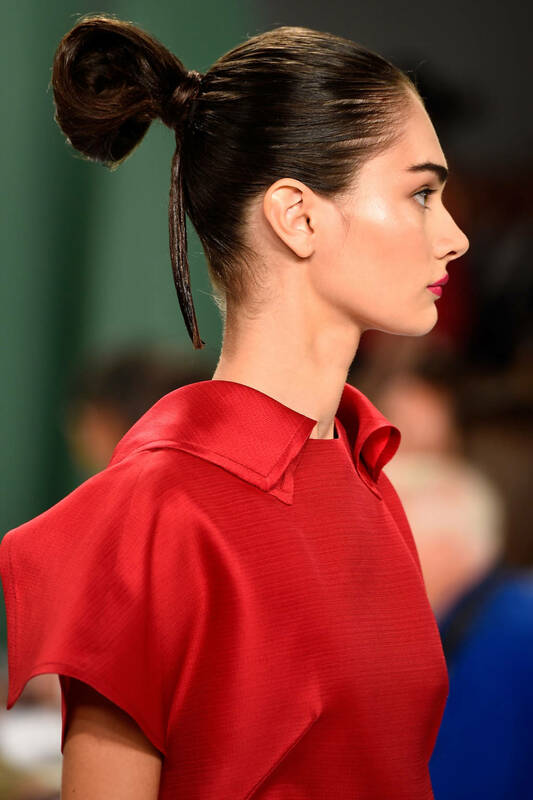 At New York Fashion Week among the brightest tendency in various hairstyles, we could see that natural looking hair is in the mainstream, this bun fixed with her own hair strands is a perfect example of the hair trends 2015.